Students of Yeungnam University came from South Korea to Vladivostok to evaluate VSUES library. The purpose of their visit is the exchange of scientific experience. Studying the websites of many different universities students considered the VSUES library as one of the best in terms of resources updating speed of and technical equipment. Students Ms. Kim and Ms. Choi are majoring in economics. They prepared properly for the trip to VSUES, sending questions in advance to have an interview with the director of the resource information and analytical center of VSUES. - This is not an exchange program. We came to Vladivostok ourselves to see everything with our own eyes. 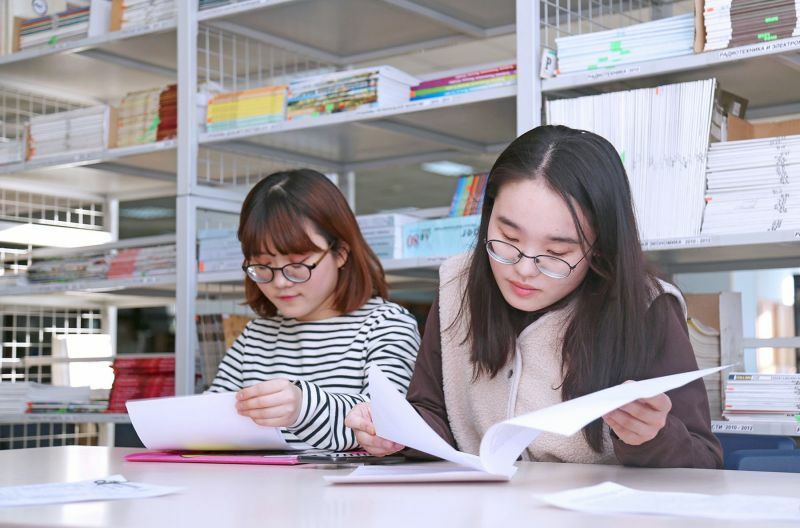 We’re wondering what are the benefits of the VSUES resource information and analytical center, what online training programs exist, what students prefer to read, and how management responds to their requests, - said Ms. Kim. During the excursion the foreign guests noted high level of organization of the visit, convenient infrastructure of the university and facilities of the VSUES information library: impressive book stock and a large amount of electronic scientific and educational resources represented by domestic electronic systems and foreign databases. - On the website of our library, we constantly update information about new educational and scientific books, we prepare thematic virtual exhibitions. You can order necessary literature without leaving home, using library's electronic catalogue. There is constant interaction of the library with the university departments and professors. Teachers and professors can do a request for purchasing necessary books and then monitor the need of the books - said Lidia Strikauskas, director of the resource information and analytical center of VSUES.